Splash Woman - "Song of the Sea"
Roll - "Summer Color Roll"
A special thanks once again to Reploid 21XX for the rips! Uwee! 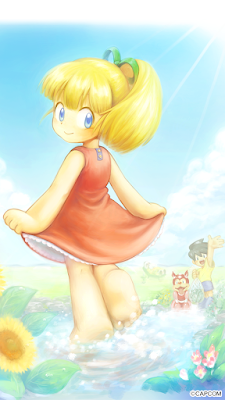 That's such a lovely picture of Roll! I'm really happy. Splash is a cool iconic looking design I'll give her that. 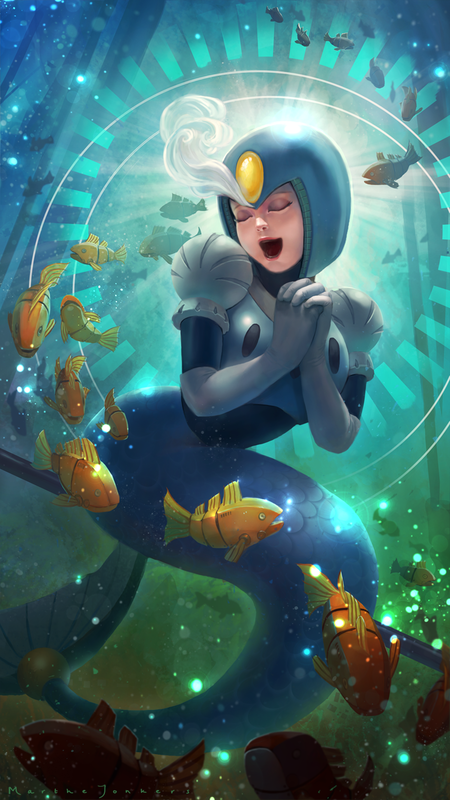 Anyone know who illustrated the Splash Woman picture? I only got one wallpaper in the app. Not that I mind as both are here, but I wonder if users randomly get only one of the two? Or the other will be available later?